Along with the many projects, trips and other leadership opportunities available to Ohio 4-H members, teens can apply for state achievement awards each year that recognize their hard work in specific project areas. 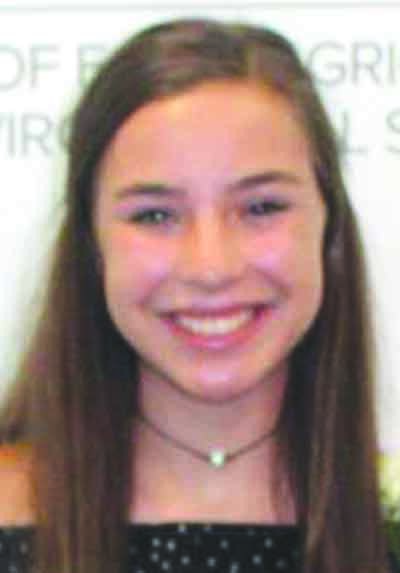 There were eight 4-Her’s that summited Ohio 4-H State Achievement Award applications this past January, and Caroline Stollar was the state winner in the Ohio 4-H State Achievement award for CARTEENS. Stollar is the daughter of Vince and Shelly Stollar and a member of the CARTEENS club. She won a trip to National 4-H Congress, which is held in Atlanta, Ga. Tyler Hartline was the First Alternate for Dairy and Madison Wells was the Second Alternate in Health & Wellness. The Ohio 4-H State Achievement Award application requires members to keep track of and record all of their yearly 4-H activities, along with their work in a specific project category. There are 28 categories that cover project areas such as beef, environmental science, health and safety, leadership, photography, and food and nutrition. Counties select the top candidate from each category to go on to the state competition. Selection for each category is based on what the 4-H member learned, project achievement, 4-H awards and honors. The first-place state winner from each project area receives an all-expenses paid trip to attend National 4-H Congress in Atlanta, Georgia, where members network with other 4-H teens from across the country while engaging in leadership trainings and community service events. Each of Ohio’s 28 achievement award winners also attend a recognition banquet at the Nationwide & Ohio Farm Bureau 4-H Center where they are recognized for their achievements in 4-H.